Merchant… Thanks Guy for the excellent pasta! | 15,000kms of Food! Merchant… Thanks Guy for the excellent pasta! Popped into Merchant for a quick lunch a few Friday’s ago, and I was absolutely delighted by the pasta dishes! Heard mixed reviews, so my expectations were reserved. The service was extremely good – attentive waiters who responded to everything and constantly topped up our water. What I loved was that when we arrived, they offered us belinnis! A belinni is a combination of prosecco and peach puree – delicious! However, they did mix up our entree dish where we asked for “Almond crusted coffin bay scallops” but instead received “Marinated octopus“… there were apologies etc and we decided to keep the dish and try it. I’m not a big fan of octopus, so I can’t say more than this: it was tangy and the consistency was like cooked white fish. 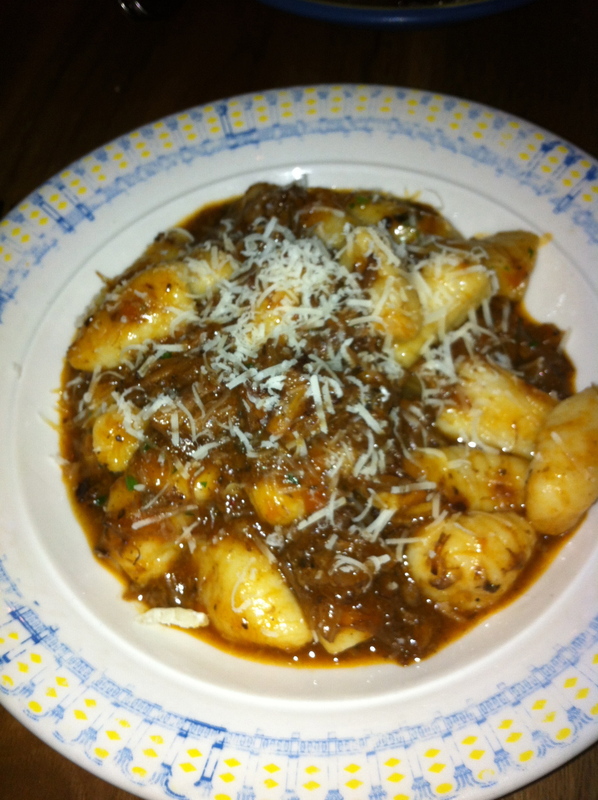 I was in the mood for a good homely gnocchi dish and ordered the “Gnocchi, braised ox tail ragu” and wow was it exactly what I wanted! I’m a bit of a gnocchi snob so for this to blow me away means that it was fantastic! Pillowy soft and full of potato flavour, engulfed by a rich meaty ragu – yum! 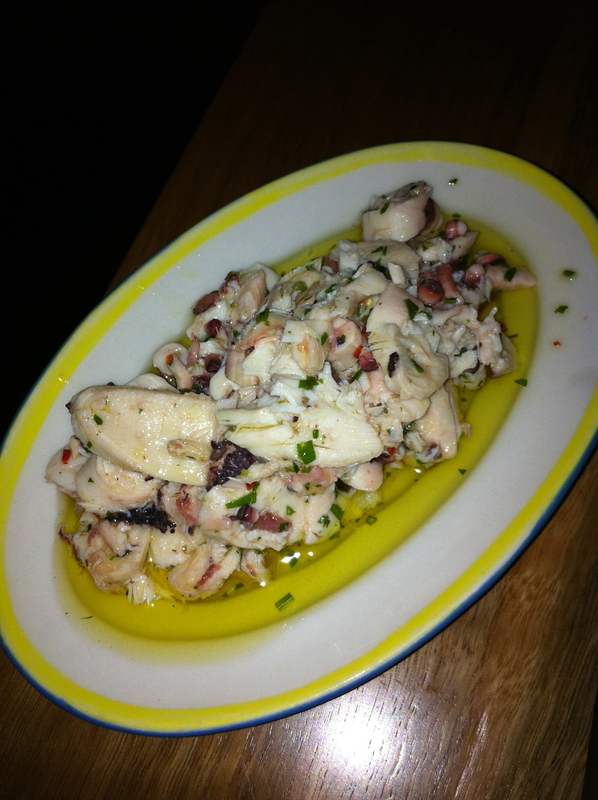 My friend had the “Bigoli Mori Rosso, crab, radicchio” and I had a taste and it was awesome! 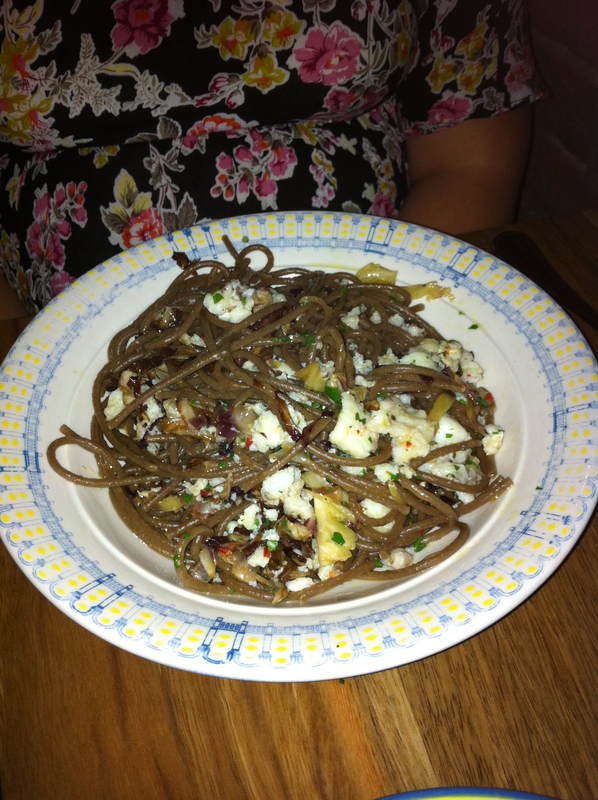 Bigoli Mori Rosso is a type of pasta (buckwheat?) and the dish was loaded with crabmeat so it was a good textural mix. Overall, it was a good experience mainly due to the pasta dishes being superb. I’m dying to go back to have more pasta!